The youngest of four children, Kristina Diane (Kristi) Hyde Chandler was born on April 28, 1973 to John and Yvonne (Roden) Hyde. Kristi first became interested in piano at a very early age. By the age of three it became apparent that she was taking an interest in music. She enjoyed playing the piano alongside her Mother, who played piano at Mt. Pleasant Baptist Church where the family attended. 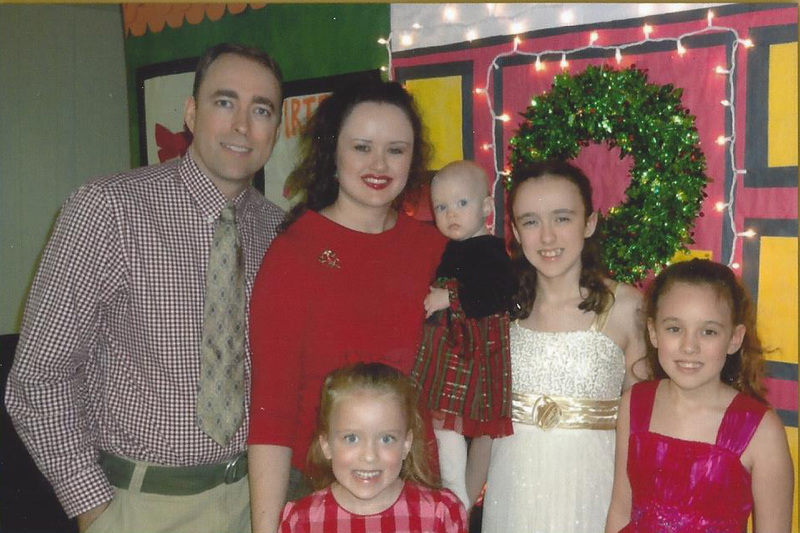 In fact, it was her Mother who fostered in Kristi what would become a lifelong love of music. Kristi graduated from Crossville High School in 1991 as the Salutatorian of her class. During this time she received various awards and accomplishments, including the Advanced Placement English Award, the Chemistry Award, and several Writing Awards. She was active in the Scholar’s Bowl, the Senior Play, Creative Arts Club, FHA, Drama Club, Beta Club, Christians In Action, SADD, Math Team, Newspaper Staff, and was the Senior Class Secretary. Kristi was a recipient of the National Youth Leadership Award, was a member of Who’s Who Among American High School Students, and was nominated as a Congressional Scholar by the Congressional Youth Leadership Council. Kristi not only received a full academic scholarship, but also a music scholarship to Snead State Community College in Boaz, Alabama. She graduated With Highest Honor in 1995 with a degree in Business Administration and a minor in Piano Performance. During her college career, she received the Economics Award, Accounting Award, English Award, and the Outstanding Achievement in Music Award for her piano accomplishments. While at Snead college, Kristi performed at numerous music convocations and piano juries for the music faculty. She was also an accompanist for various vocalists while at Snead. Kristi was on the National Dean’s List, a member of Who’s Who Among Students in American Junior Colleges, an All-American Collegiate Scholar, a member of Pi Theta Kappa, and was active in Baptist Campus Ministries and College Choir. While in college, she also taught private piano and played piano for various churches in the area. Kristi received two Junior College Transfer scholarships to Jacksonville State University. It was at Snead college in 1991 that Kristi met her future husband, Chris Chandler, a 1991 graduate of Geraldine High School. 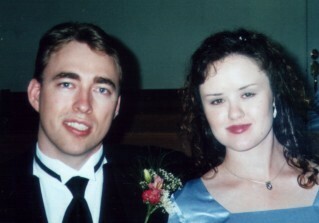 The two dated throughout college and were married on September 23, 1995. They have four beautiful daughters, Crystal Camille, born January 9, 2001, Maria Christine, born October 3, 2004, Hannah Colleen, born January 11, 2007, and Sarah Cathleen, born November 2, 2011. Crystal, Maria, Hannah, and Sarah are the joy and delight of their lives. Crystal, age 13, is following in her Mother's footsteps as she is beginning to excel at piano, taught by Kristi. She is also quite a singer and performer. Crystal was voted the 2009 winner of her school talent show where she sang Taylor Swift's "You Belong With Me." She was also chosen to be in the top three finalists of Albertville Idol at the Albertville Small Towns and Downtowns Festival in 2010. Celebrity judges were Mark Herndon (former drummer of the supergroup "Alabama"), up-and-coming country star Leah Seawright, and the legendary Pat Upton. Crystal was also a top finalist in the 2010 WQSB New Country Round-up Talent Search. Maria, age 9, and Hannah, age 7, also taught piano by their mother, are excelling musically as well and also enjoy singing, dancing, and performing. The three older sisters, Crystal, Maria, and Hannah, known as "The Chandler Sisters", enjoy singing together at local churches, talent shows, and events. The group recently sang "Mean" by Taylor Swift at "Geraldine's Got Talent", the annual Geraldine Elementary talent show. Little Sarah, age 2, is coming right along and will soon be the fourth member of the group! She loves to sing along and show off her own really cute dance moves. Kristi considers being a wife and mother to be the most important role in her life and the most important decision she ever made was to become a Christian at the age of five. She feels it is a blessing to have been given a musical talent that she can share with others and is honored to do so.